Joe Good, III graduated from the University of South Carolina and the Thomas M. Cooley Law School in Lansing, Michigan. Prior to law school Mr. Good was the sales manager for a national agricultural software firm called QuickFarm, Inc. During law school Mr. Good clerked for the Honorable Paul E. Short, Jr. in the South Carolina Court of Appeals as a judicial intern, the Hood Law Firm in Charleston, SC, and Ellis Lawhorne & Sims, in Columbia, SC. Mr. Good was a member of both the Mock Trial Board and Moot Court Boards in law school and was involved in the law school student government. Mr. Good’s practice areas include white collar criminal defense, DUI Defense, Boating Under the Influence, personal injuries, dram shop liability, and entertainment law. Mr. Good has defended hundreds of clients in both state and federal courts. Criminal Defense Attorney Joe Good is certified by the National Highway Traffic Safety Administration and the International Association of Chiefs of Police in DUI detection and the administration of Standardized Field Sobriety Tests. Mr. Good also has a Certificate of Completion from the SCACDL Datamaster DMT Training Course which focused on the datamaster breathalyzer machine which is the machine used in South Carolina. Mr. Good is licensed in South Carolina state court and in the federal court for the District of South Carolina. Mr. Good has recently been admitted to the United States Supreme Court, is a member of the American Bar Association, S.C. Bar Association, Charleston County Bar Association, Hibernian Society, and the Charleston Club. Mr. Good is a graduate of the National Trial Advocacy College at the University of Virginia School of Law. Mr. Good is a 2008 graduate of the Mt. Pleasant Citizens Police Academy. Mr. Good was recently awarded the 40 Under 40 Award given to business leaders in the Charleston community by the Charleston Regional Business Journal. In his spare time, Mr. Good enjoys playing live music with his band around the state, playing golf, and boating. Mr. Good also teaches Business Law at the local college. 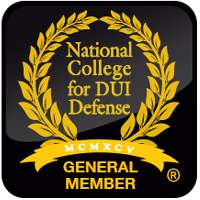 A collection of tips on how to navigate the legal system when charged with a DUI or related criminal offense. This blog is not intended to be construed as legal advice whatsoever. All Defendants should contact a criminal defense attorney.